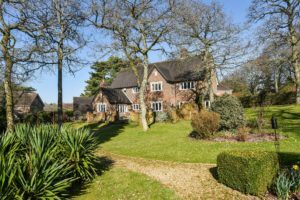 An immaculate, detached property situated within approximately 1 acre of private mature gardens within the grounds of Leydene Park in the heart of the South Downs National Park, offered for sale through The Country House Company. This elegant home provides beautifully presented, light and spacious accommodation arranged over two floors, totaling approximately 3,000 sq. ft.
Accessed via an impressive open hall, the principal reception rooms include a striking triple aspect drawing room with fireplace, log burning stove and doors to the garden, formal dining room, cosy family room (with fireplace and doors to the rear sun terrace) and a study with extensively fitted bespoke cabinets and units. 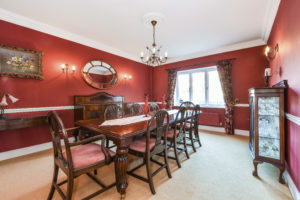 In addition, on the ground floor there is a well fitted kitchen/breakfast room with Smeg and Bosch appliances, plus utility and cloakroom. Five good sized bedrooms and three bathrooms are on the second floor which include the master and guest bedrooms both with en suite bathrooms. Many first floor rooms have views over the garden or valley beyond. To the front of the house is a drive with ample parking and turning space. There is a detached double garage with electric doors and to the side a lightly wooded copse. 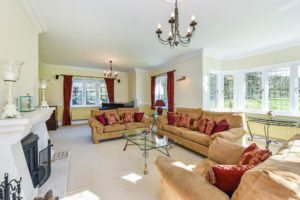 The main grounds lie to the rear and include an attractive sun terrace immediately adjacent to the property and large manicured lawn interspersed with mature shrubs and trees with field gate from the side back to the private lane. The grounds offer a good degree of privacy and are approximately 1 acre overall. 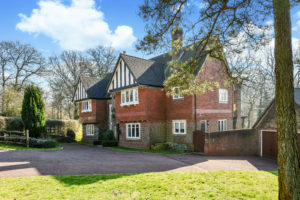 Leydene Park is an exclusive private estate situated two miles south of East Meon village which has two pubs, a church, a village shop, hall and primary school. 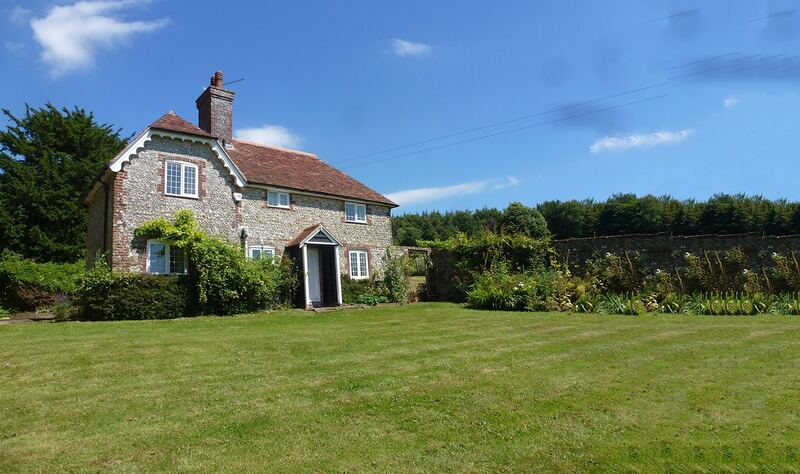 The park itself sits on a ridge of The South Downs with amazing views to the south west and consists of 31 houses which include the historic house itself. There are common areas of parkland to be enjoyed by the residents plus 3 tennis courts.